Linksys Connect is the setup software that comes with your Linksys Wi-Fi Router. You can use it to configure the wireless security settings of your router to keep your home network safe. To know how to do that, follow the steps below. Launch Linksys Connect. To do this, go to Start > All Programs > Linksys Connect. For Mac® computers, access Go > Applications, then start Linksys Connect. On the Personalize section, click Change. 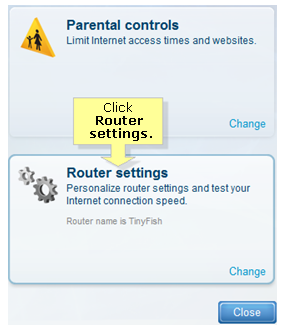 A pop-up window will give you information about changing the router name and password. Click Yes if you want to proceed. 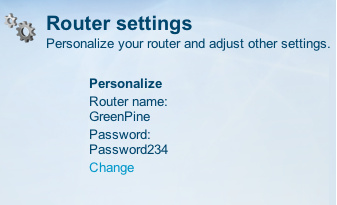 You can change the Router name (SSID) and Password. Then, click Change. Your changes will be saved. This could take a few seconds up to a minute. NOTE: You can create an Easy Setup Key by inserting a storage device into your computer’s USB port. This allows you to store the Router name and Password and use it to connect other wireless computers to your network. For instructions on how to create and update your Easy Setup Key, click here. If you choose not to, click on Cancel. Your wireless settings have been changed. 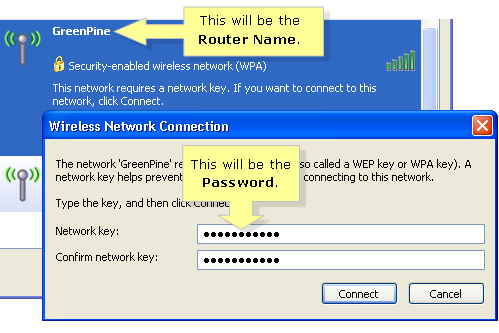 When wireless computers connect to your network, the Router Name and the Password you created will be your Wireless Network Name (SSID) and your Password or Network key. The default wireless security type used in Linksys Connect is WPA™/WPA2™. It is recommended to use WPA2 Personal or WPA2/WPA Mixed Mode security mode for your Linksys Wi-Fi Routers to ensure that they operate at full data rates. NOTE: If you want to use WEP security or if you don’t have Linksys Connect and you would like to configure the wireless security of your Linksys router with the Classic firmware, click here. 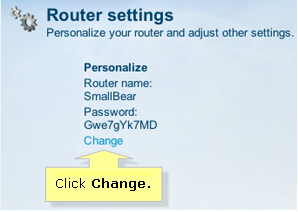 If you would like to check and update the router password using the Linksys cloud account, click here.